I love that now the Seasonal Stampin' Up! Autumn-Winter Catalogue is out I can share some of their fantastic products and projects with you. Make three cardstock trees - one 33cm tall, and two that are 27.9cm tall, complete with decorations. 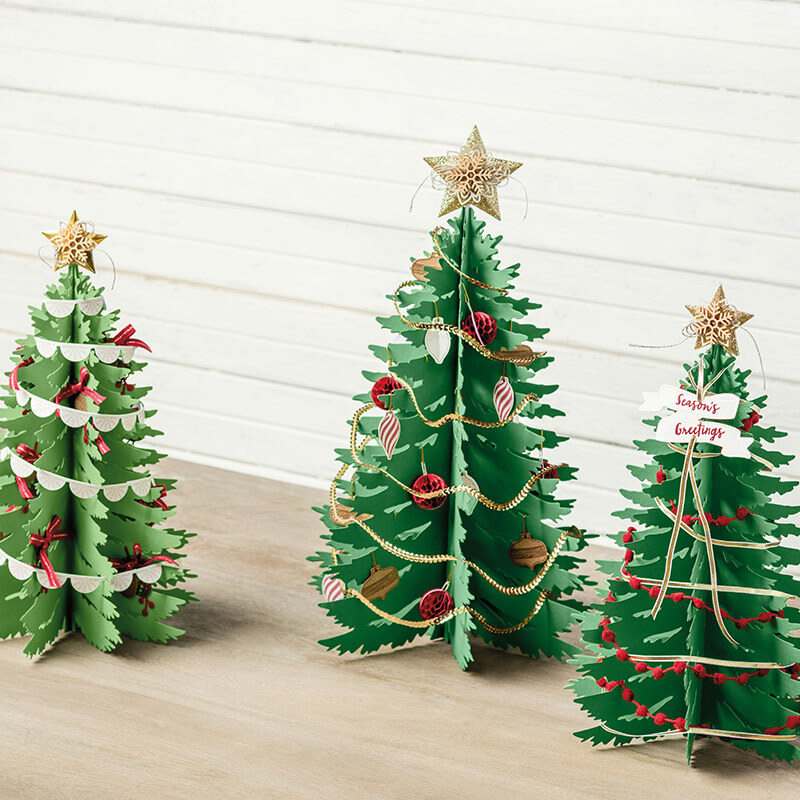 Use the Forever Evergreen Project Kit alongside the Forever Evergreen Stamp Set to create these wonderful table pieces complete with stamped greetings and baubles. The kit and stamp set have everything you need to wow your table guests this Christmas!